What does an award-winning Italian chef make for family and friends at Easter? We know what he makes for Christmas, but Easter? Why lamb chops stuffed with prosciutto, fontina and wild mushrooms in a red wine sauce of course! Not to mention 3 types of pasta and one enormous chocolate easter egg! I love journals. Any color, any size, delightful designs or no designs at all. I have a stack filled with the best of intentions but nary a word to be found among them. And yet I continue to collect these journals with the promise or new year’s resolution to put pen to paper and fill the pages with a myriad of thoughts and observations, and somehow hope to make sense of this thing in which I find myself, thru no choice of my own, called life. There is one special journal that I bought in Florence in the summer 2001 that I actually used, albeit briefly, to document that vacation. 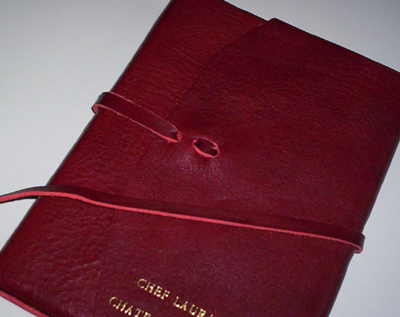 It is a beautiful leather bound book that wrapped around and tied and on which I had my name embossed! I was so delighted with my purchase that I managed to write a few comments and tape in a few ticket stubs but the novelty quickly faded. So I gave up, simply embraced my addiction to journals, and watched the pile continue to grow. Enter France 2004. When I washed up on these shores almost a year ago, I found myself for the first time ever craving to write, to notate every single detail around me as banal or novel as it may be. The cat in the window across the street, the way the fish fins continue inside the fish and become the spine, the way food tastes so much better with a sprinkle of sea salt, the pebbly sand on the Côte d’Azur, the vibrant fire-engine red petunias in the flower boxes in Quimper, the flame orange feathers on the chickens at the Nice Market, the names of French cars, the roof of the Gare St Lazare train station, the Christian Delacroix uniforms on the Air France flight attendants, the lace curtains in the windows in Brittany, the carving of the date and architect on Parisian buildings, the plethora of types of yogurt (none of which I can read) at the grocery store, and on and on and on….. So I find myself back in Florence and my first stop is a beeline to that lovely little paper, book, journal store just off the Arno around the corner from the Grand Hotel where I purchased the above mentioned coveted journal 4 years ago. Ditta Alberto Cozzi. Founded in 1908, nearly 100 years ago, by the same family that runs it today. There are many beautiful paper, book, journal stores in Florence, actually just about one every few blocks, but this one earned my undying loyalty when on the above mentioned first trip I stumbled upon this store just as I had to leave for the airport. As luck would have it, the store was closed but I could see someone inside. I knocked and a handsome gentleman unlocked and opened the door. I explained my dilemma in my worst “Frenglish” with an occasional Italian word thrown in for good measure, and he gracious let me in, embossed a journal for me, locked up the store and returned to his lunch. No attitude, no rolled eyes, no “stupid American” muttered under his breath. Just gracious and charming as can be. Say no more. So back to Ditta Alberto Cozzi I went for another embossed journal in which to detail what I hope is another extraordinary year in France, but this time, for the first time, I knew these pristine pages would not be so for long! Buongiorno de Milano e Firenze! I finally finished my 1000 recipes recipe! It took me forever to decide what to do (my apologies Katherine & Santos!) and I ended up selecting one of my all time favorite casual menus and one that is very easy to make. One part is très (very) French, the other is très Italian and all are très good! I hope you enjoy all of them. This is my comfort food meal and one I make often for good friends. The Poisson en Papillote I first learned at HomeChef in San Francisco in my 10 weeks Basics Class. To my delight it appeared 6 years later in the curriculum at the French Culinary Institute (one of the few things I could make well) but of course with traditional French ingredients such as tomato fondue (cooked tomatoes), mushroom duxelles (chopped, cooked mushrooms), and julienne (matchstick-shape cut) of carrots, leeks and celery sautéed and all placed on top of the fish and topped with thyme sprigs. They call for white wine (bien sûr!) and wrap the fish in parchment paper. The Champagne Risotto is from my Italian grandmother. She gave me the recipe years ago and it is my favorite risotto. I like it best plain like this recipe however you can add just about anything: asparagus, shrimp, ham, proscuitto, shaved radicchio, sautéed zucchini (or tzu-cchini as my grandfather pronounced it), red peppers, peas, corn, cheese, etc, etc… the list can go on forever. 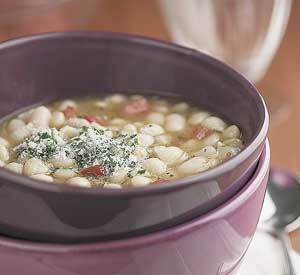 It’s akin to Jacques Pepin’s fridge soup….just throw in whatever you have left over in the fridge et voila! The stacking of the risotto (or any starch like mashed potatoes or soft polenta) plus spinach plus fish (or meat) I learned when I worked at Farallon in San Francisco and the Berry Crumble is a combination of Jacques Pépin’s recipe with one I learned also at HomeChef years ago. Sometimes I’ll triple or quadruple the recipe for the crumble and keep it in a zip lock bag in the freezer. If someone pops by for dinner, just grab some fruit (chop it up if it’s a pear, peach, mango, etc. ), top it with the crumble and pop it in the over. Bon appétit! 7. seal up foil like a packet so there is a large space at the top. place on cookie sheet. 3. Add 1 cup of champagne and stir until almost all absorbed. 4. Continue adding stock/broth in 1-cup amounts. Continue stirring and cook until almost done. 5. Add champagne as last liquid and cook til done. 2. Place in hot pan and toss with tongs for a minute or 2. 5. I’d serve this with a crisp white wine ie: something from Alsace. 2. Mix berries, half the sugar and mint leaves. 3. 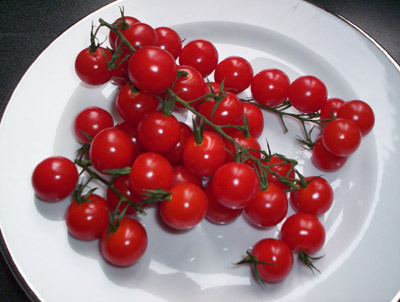 Transfer to glass dish or individual dishes for cooking/serving. 4. Mix remaining sugar, flour, granola & butter in bowl. combine until crumbly & well mixed. 5. Divide mixture equally among individual dishes. 6. Bake for 35 minutes or until fruit is bubbling and top is browned. 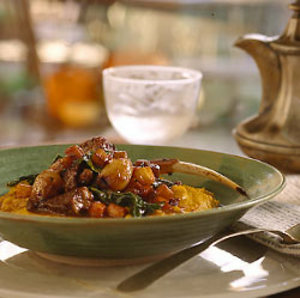 Ragoût d'Agneau avec le Polenta et les Ananas Caramélisés is a fancy was of saying Lamb Stew with Polenta and Caramelized Pineapples. The pineapples are for dessert, in case you were confused and thinking "yuk! lamb stew with pineapples!? the girl has lost it!" My friend Kendall was traveling in the states so I offered to cook dinner for her husband Bob and son Greg. Their friends (and mine) Jeff, Christian and Nadine joined in a made it an official party. Since it’s been so cold all week I decided to make Lamb Stew. Of course today turned out to be as frigid as a glorious spring day but I had already purchased the meat yesterday so lamb stew it was going to be dammit! I procured the lamb at Boucherie Perraud (59 rue Monge, 75005 Paris, 01 45 35 16 46) from Serge Perraud himself, my favorite butcher in Paris. It has nothing to do with his beautiful blue eyes…really… sorry, back to the lamb… The lamb comes from the Limousin region and I have to say I have never had lamb with such an incredible flavor. You could do nothing to it, actually you should do nothing to it, and it tastes wonderful. It isn’t too lamb-y and it was amazingly tender. Serge cuts everything right there. Nothing, well maybe few things, are precut or prepackaged but not much. I waited AN HOUR and there were only 8 people in front of me and the line was out the door. He takes his time with each person, ensuring they have exactly what they need, including explicit directions on how, what temperature and how long to cook it. And speaking of, for the wine, Jeff brought a 2002 Bordeaux Mouton Cadet which was perfect with the lamb stew. For the polenta, I simply used a box of the instant polenta (Nadine stirred) and when it finished cooking I took it off the heat and stirred in some mascarpone! oooh la la! For dessert I made Jacques Pépin’s Caramelized Pineapple Wedges from his new book and PBS TV Show, Fast Food My Way. I worked on this show as the back kitchen chef last May (which I've told you a million times and will continue to tell you every chance I get so my apologies in advance but it was one of the coolest things I've ever done in my life!) and this was one of the recipes I made. If you saw this show, you saw my food! :-) It is about as easy as it gets and is really delicious as you have the sweet flavor and freshness of the fruit with a delicious caramelized orange sauce. I didn’t have rum so I used Cognac (oh darn!) and I don’t like pistachios so I chopped a handful of pecans and toasted them in a dry sauté pan. Pas mal (not bad) as they say here in France, because they would rather die than pay a complement….but that’s another story… on to the Lamb stew! this is what the lamb stew really looks like when it is made by a mere mortal or by someone who used to burn water! 1. Cut the lamb loin in half lengthwise, then cut crosswise into 1-inch pieces. The pieces should be fairly large so they do not get overcooked. Season well with salt, pepper and fennel spice. 2. Heat 2 tablespoons of the olive oil in a heavy sauté pan over medium-high heat until hot. Dust the lamb with 2 tablespoons of the flour. Add the lamb to the pan, spreading out the pieces so there is room around them. Do not move the pieces until moisture begins to show on the tops and they have browned on one side, about 2 minutes. Then turn the pieces to continue to brown, about 2 minutes longer. Do not overcook. The lamb should be medium-rare. Remove the meat to a large plate. 3. Return the pan to medium-high heat and add the remaining 2 tablespoons oil. Add the onions, carrots and turnips to the pan, season with salt and pepper, and sauté until the vegetables are well caramelized, about 10 minutes. Regulate the heat so the vegetables do not burn. Add the butter and continue to cook for another 2 minutes. 4. Dust the remaining 1 tablespoon flour over the contents of the pan, stir, and cook over medium heat for another minute. 5. Add the wine, bring to a boil over high heat, and cook until reduced by half. 6. Add the stock, return to a boil, reduce the heat to low, and simmer for 10 minutes. Skim off any foam that forms as the stock comes to a boil. 8. Return the meat to the pan, add the chard and parsley, and simmer for 1 minute. 9. 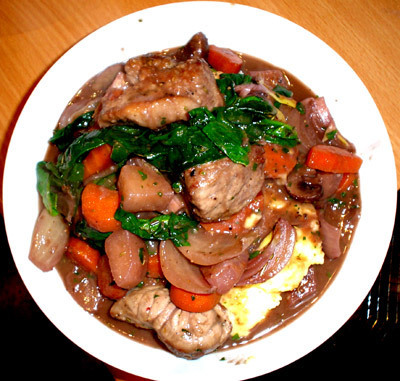 Season with salt and pepper and pour stew into soup plates on top of a bed of soft polenta. Hey, I bet this would be good with potimarron! Hmmm….. next weekend… must go watch the Superbowl sans Janet and her bout du sein exposé. 2. Heat butter, brown sugar, juice in skillet over med heat and stir til just moistened. 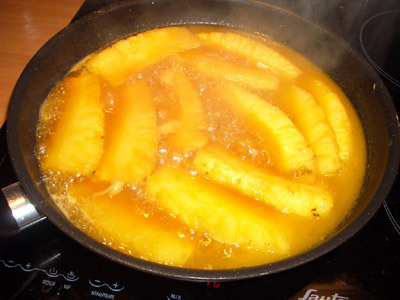 Add the pineapple wedges in 1 layer, bring to a boil, cover and cook for 6-7 minutes without stirring. 3. Uncover, turn wedges over and continue to cook, uncovered for 6-8 minutes, shaking the pan in the end, until the syrup is a dark thick caramel. Turn the wedges again to coat with the caramel sauce. 4. Transfer to serving plates, sprinkle with rum and pistachio nuts. Disclaimer: This picture at the top of the lamb stew is not mine, it's much too professional and the food is too perfect to ever be mine. It is from the NapaStyle web site where I found the recipe. The pictures of this dinner are in Christians’s camera and as soon as he emails them to me, I’ll post it, promise! This definitely looks better than mine, so use this as the ideal. Disclaimer: This is not my picture. It is far too profession to ever be mine. My camera decided to kidnap my photos and hold them for ransom, in other words I can't get the pics to download from my camera to my laptop so I am "borrowing" this one until I can send in Ross Perot and his team of mercenaries to rescue my little digital hostages. 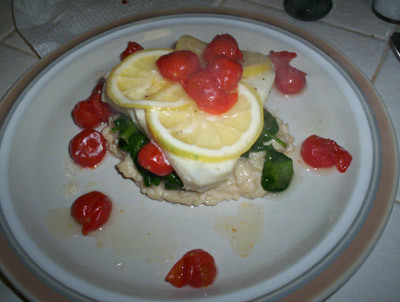 This photo is courtesy of Cuisine at home, the same place I "borrowed" the recipe. Beam me up Tony! Few things transport me home more quicker than a bowl of pasta fazool or the crooning of “I Left my Heart in San Francisco” by Tony Bennett. And in North Beach, the Little Italy of San Francisco, perhaps only the Pope himself would receive a warmer welcome than Mr. Bennett. When people hear North Beach they naturally think Italian but it is actually only one aspect of a very interesting, diverse district of the City. It runs from downtown, just north of the Transamerica Pyramid, through the strip clubs of Broadway, by the Gold Coast, through Washington Square, brushing the foot of Coit Tower, stopping just a few blocks short of Fisherman’s Wharf, swinging by Chinatown, and looping around the north slope of Nob Hill. All of these influences have colored North Beach in their own unique way from the Italians, to the Chinese, to the bankers, to those of ill repute. In the 50s and 60s, North Beach was home to the Beat Generation or Beatniks as they were known. On the Road author Jack Kerouac and poet Lawrence Ferlinghetti (proprietor of the famous City Lights Bookstore), frequented Vesuvio Café, a favorite of the literary greats much like Lapin Agile on Montmartre was to Picasso and his fellow artists. When trying to decide what to make for the January 23rd Is My Blog Burning bean theme, I immediately thought of cassoulet, being in France and all. Then all of a sudden that cute little lightbulb appeared over my head…. “DUH! You’re Italian! Make grandma’s pasta fazool” …if for no other reason than she made this at least three times a week for the better part of her 84 years! Having grown up knowing this dish only as pasta fazool (fa-ZOOL), it was just a few years ago that I realized pasta fazool was actually pasta e fagioli (ee fa-gee-OH-lee) or in English, pasta and beans! “Fazool” as it turns out is my grandmother’s southern Italian dialect pronunciation of the word fagioli. When consulting with my grandmother on this recipe, she said she always made it less as a soup (the traditional way) and more like a cassoulet, though an Italian cook would never allude to doing anything remotely French, so I usually add a bit more pasta and “fazool” than the recipe requests. I paired this with a 2002 Miner Rosato rosé wine, a light wine that if served as an appetizer would transition nicely to a meat dish and a more robust red such as a pinot noir. Bob Miner was also the co-founder of Oracle Corp, where I first landed in the hi-tech world. So in honor of my little Italian grandmother from Esperia, just outside of Rome, and my hi-tech alma mater in Silicon Valley, mangia bene e salut! I know I’ve pontificated endlessly about simplicity and ease (ie: shortcuts) while cooking but this is one dish that I do the old fashioned way. It’s still fun, it just takes a bit longer. Canned beans just don’t work for me in this dish since I was practically weaned on it. Everything – the flavor, texture, and nutritional content – is remarkably different when using dry beans so take the time to plan ahead. You can cook the beans anywhere from 1 to 3 days before making this dish. It’s only a few more steps that makes a world of difference – kind of like flying in first class and then flying coach – a wonderful experience or 12 hours of hell. You can tell where I sat my last few flights home… sorry, back to the beans. This dish can be an appetizer/starter or served with a green salad and some country bread as an entire meal. Patisserie Pinaud on rue Monge (next to Place Monge) makes a wonderfully chewy country pain aux graines (bread with grains) that just screams for this dish. Cooking dried beans: In cooking school we learned this method with lentils however it’s the same concept. First pick through the beans (or lentils) very carefully to remove any small pebbles, stones or dirt chunks. Then soak them completely covered in cold water in the fridge for 4-12 hours. Drain and rinse a few times and cook the beans in cold water for 1–1½ hours until done. Then prepare the meal as directed. So that’s the hard part and if you do that a day ahead it’s a piece of cake, not literally of course but you know what I mean. If you are thinking "sister, there is no freakin' way I am dealing with dried beans", then use canned cannellini beans. 1. Sort beans to remove pebbles or dirt. Rinse well. 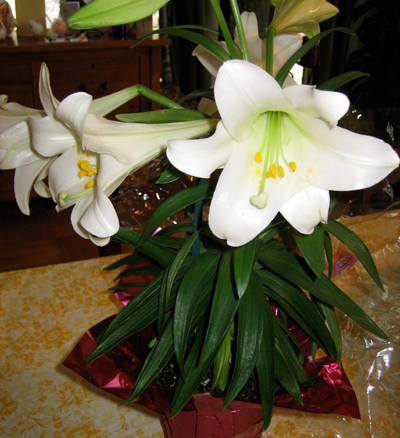 Soak in a large pot with cold water to cover by a few inches. Cover and chill 4 – 12 hours. 2. Drain and rinse soaked beans. Place beans in pot, add 6 cups cold water, and bring to a boil. Reduce heat and simmer 1–1½ hours, partially covered. Add more water during cooking if needed. Test a few beans for tenderness after 1 hour. Drain and chill (up to 3 days). 3. Cook pasta according to package directions. Drain pasta reserving 2 cups water for the soup; set aside. 4. Sauté onion, black pepper, and pepper flakes in oil in a large pot over medium-high heat unitl onions are soft but don't let them burn. 5. Stir in garlic, rosemary, and anchovy mash. Cook for 1 minute. 6. Add beans, broth, tomatoes (if you decided to use them), and reserved pasta water. Bring to a boil, reduce heat, and simmer 20 – 25 minutes. 7. Stir in lemon juice, pasta, and season to taste. 8. Garnish with Parmesan cheese and parsley. In one of my first notes, I talked about emotionally where it began (Advice to the Sealorn) but there were two actual events that occurred a few years apart that really jolted me into action. I’ll start with the second. I don't remember the exact context of the conversation but a few years ago I was with a friend and someone asked her what she did. Her unassuming reply was, "I save lives." Well this stopped me dead. She does indeed save lives as she is a social worker who also does drug and alcohol counseling for people who have just been released from prison and are trying to assimilate back into mainstream life. She finds them jobs, homes, food, clothes, and is for the most part, their only source of stability and sanity in their lives and she takes their calls at all hours night and day. The first time was a bit more subtle but just as empowering. 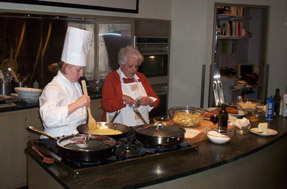 In early 1998, my humble culinary career began when I enrolled in my first cooking class at Home Chef in San Francisco, a ten-week basic cooking class where I learned techniques from stock to soufflés. 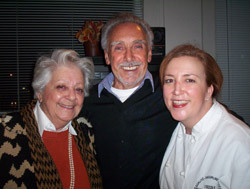 From then on, I attended and assisted in every culinary class I could find...and I LOVED IT! Surprising, since prior to this I burned water! Really! After cooking class one day I was walking to my car and passed a bookstore. 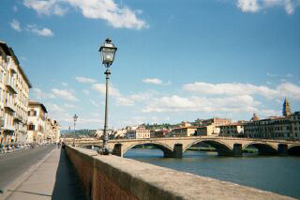 There was a book called Under the Tuscan Sun (maybe some of you have heard of it!) in the window, long before it became a bestseller. I went in and bought it and fell in love with Tuscany. I wanted to renovate a farmhouse, I wanted to grow basil on my back porch, I wanted to shop at the local market, I wanted to sleep on sheets that were dried in the sun! A few days later, I purchased another book, Tuscany:The Beautiful Cookbook, and in the first few paragraphs it talks about the Etruscans (a civilization pre-dating the Romans in Italy and located in Tuscany) and how they were content to dine on bread, olive oil and wine. It hit me! Oh my goodness, that's me! This is where I came from! This is my history! This is who I am... as few things make me happier than a meal of wine, bread and olive oil and I can certainly turn them into a tremendous feast! My theory on cooking is the less ingredients the better and my favorite way to cook zucchini comes courtesy of the coolest cat in Manhattan, Chef Jimmy Bradley, owner and executive chef of The Red Cat (as well as The Mermaid Inn, The Harrison, and Pace). A quick sauté of zucchini (courgettes en français) with toasted almonds and pecorino, a dish he has cooked for Bill Clinton many times, allows the zucchini flavor to shine through while the mellow almonds and zing from the cheese add exciting but not overpowering accents. 1. toast sliced almonds in olive oil until golden. 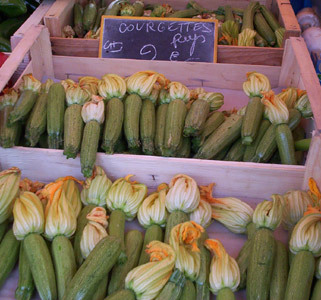 2. cut zucchini into matchsticks and add to the hot pan, tossing quickly to warm the zucchini through. 3. season well with salt* and pepper. 5. top with thin shavings of pecorino or parmigiano. * A quick note on salt. Please, I implore you, please don't use that nasty salt in the blue box, you know the one I mean. A small investment in a container of sea salt or gray salt will change the way you cook. It did for me! The only sea salt in my kitchen in San Francisco is from NapaStyle which imports their sea salt from France's Brittany coast. You only need to use a small amount and, as my friend Arleen said, "Laura taught me that it’s easy to make great food from simple everyday ingredients, and that Gray Salt from Brittany, France is truly a little taste of heaven". So there you have it... mangia bene!